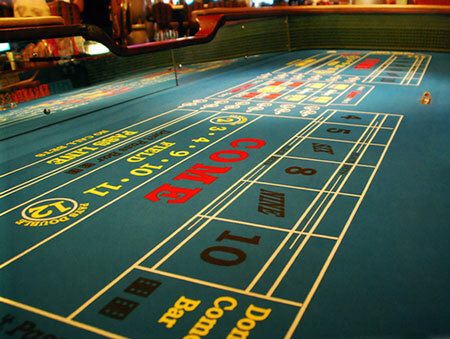 Craps is one of the most beloved table game among the casino players. 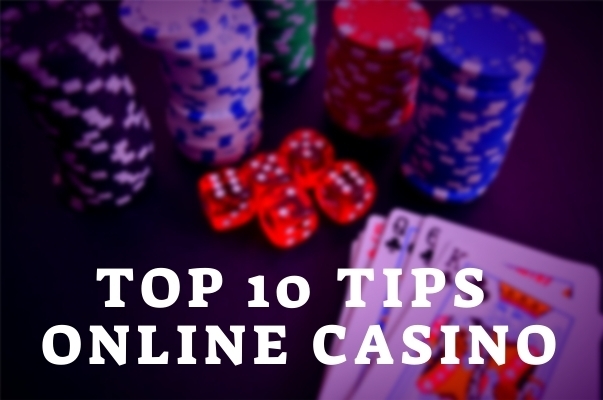 No matter if you play it in a classic Vegas-themed casino, or rather in some of the many online casinos, you are guaranteed to have a lot of fun. The game of Craps gathers some of the most passionate players who hope that luck will be on their side as they try to win at Craps. The excitement you feel as you are waiting to see which number is rolled is like no other. Hence why Craps is the most thrilling casino game out there. When you are in a casino, the Craps table is definitely the place to be. It is a very special game in which everyone can win together against the house. Of course, the house edge is always there as in every other game, especially in a casino. This shouldn’t discourage you since it only adds up to the excitement even more. 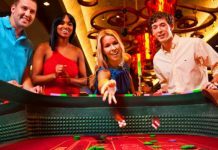 In order to fully enjoy and understand the enticement of Craps, you need to cover the basics such as the table setting, the personnel that will participate in the game in order to make sure all runs smoothly, and so on. We will go through all of this in the following passages, so buckle up! Considering that Craps is a game that includes a lot of money, there are a few professionals that are present at the table at all times. First, you have a boxman — a professional that ensures that the game is supervised and deals with all the bets made during each round. Across him is a stickman — as the name suggests, they are in charge of the stick. 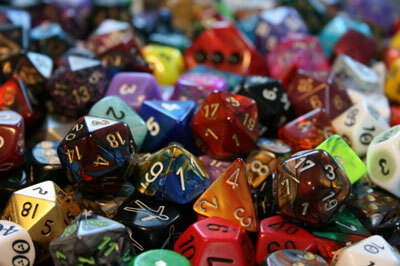 The stick is used to push the dice after they are thrown. Though it may not seem that way, the stickman has a lot of responsibility. He ensures that the game is going as planned without any delays, in addition to calling out the results. Next to them, there are two dealers who are in charge of all the crap bets, including proposition bets, pass line bets, field bets, and so on. They also collect the money after the round is over. And finally, you will see other players at the table — they are your new best friends. When it comes to the table design, it may seem complicated when you first check it out. But we assure you that you’ll get the hang of it and have a lot of fun while you are playing. For starters, there is a “Pass” line all around the table. This area is used for the players that are betting on the side of the shooter. On the other hand, there is a “Don’t Pass” line, designed for the players who bet against the shooter. In addition, you will see two areas reading “Come” and “Don’t Come,” which have a similar purpose and will be useful later in the game, after the point is established. Moreover, there is an area for proposition bets (otherwise known as one-roll bets), right between the stickman and the boxman. Besides that, there is also an area where you can lay odds on bigger bets too. Also, you can bet only for yourself, regardless of the additional bets that include the whole table. In order to win, the roll of the dice will need to depict a 7 or 11 on the Come Out roll (as well as the Pass Line). Bear in mind that you lose if you roll 2,3 or 12. However, if you roll a 7 before rolling the point twice, it is definitely not your lucky day. 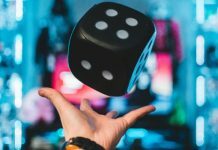 Getting the number 1 on each dice (otherwise known as “snake eyes”) is considered to be one of the worst things you can roll, so if you’re a superstitious person, you better watch out! The game of Craps can’t begin until the shooter has placed a bet on the pass (or the don’t pass) line. Basically, if you are making a pass line bet — you are betting on the dice. And if you are placing a bet on the don’t pass line — you are betting against the dice. Other players can make these bets as well, but they do not have to. Moreover, after the point has been made, you can also place a come (or don’t come) bet. This is a bet that affects only you, so it will mean that the shooter is rolling just for you. Now, it’s all up to the shooter. If the point is 9 for example, the shooter has to roll a 9 before rolling 7 (or the other way around). As long as they roll a 9, every player wins! Of course, you can always go for bigger bets once you mastered the basics. The riskier bets are called field bets, where you bet when the number 7 will come up. They are quite simple to place at any time — all you have to do is place the chip on the area of the table marked “FIELD.” Bear in mind that even though the number 7 is considered to be the luckiest in many games, it does not always bring you a sure-fire win. Rather, this number has the most odds of coming up. 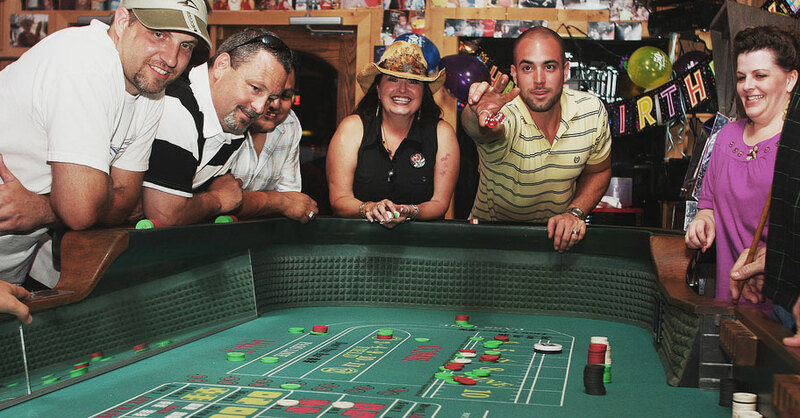 The game of Craps gathers around some of the most superstitious players. They have so many rules that will make your head spin. Of course, you are not obligated to follow them, but it’s a custom to take one for the team, just to help keep the spirits up at the table. For example, you should not yell out “SEVEN!” under any circumstances! It is considered very bad luck, and you will chase away other players faster than you know it if you even utter the word. Furthermore, the dice should not roll out of the table, not even accidentally. If that happens, you should yell out: “Same dice!”, just to ease other players. In the end, there is no sure-fire way that will guarantee you will win at Craps. 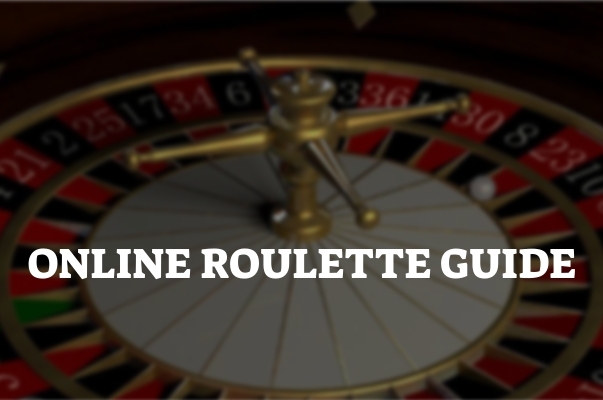 After you understand all the different types of bets, the game will be much more fun to play. Learning the probability of various number combinations dice will depict still doesn’t secure your win. As we’ve shown above, learning the table layout will help you go a long way, in addition to betting on the safer side (the pass line bets). As you become more skillful, you can graduate to bigger and riskier bets. Just keep your spirits up and have a lot of patience while mastering the game.